Hello and welcome to the Trailcology blog! I am excited to bring you the first pieces of public information about the newest trail organization, and aspiring non-profit organization, in Fort Collins, CO.
First, a little bit about me. My name is Chris and I have been a trail user for as long as I can remember. I have used trails in just about every manner possible but mostly for hiking, trail running, mountain biking, and the occasional horseback ride. I have been passionate about the environment for just as long. As a senior in High School a friend and I started a student group that we called Environmentally Concerned Others Advocating Change Together (ECO ACT) which started an in-school recycling program, held tree sales, and promoted environmental advocacy, among other things. My first year of college took me from Pennsylvania to Washington State and the Evergreen State College where I got my first taste of landscape ecology and environmental management. While I loved the Evergreen State College, and still do, I decided that it wasn't the place for me so I transferred to Colorado State University. It was here that I became more involved with ecology and restoration ecology. As an undergrad I studied Rangeland and Forest Management and was involved with the Range Club and Society of American Foresters. Many volunteer projects and field trips gave me a working knowledge of a suite of issues that land managers face. During my undergrad I worked for the Fire Science Laboratory, the United States Forest Service, and the Restoration Ecology Laboratory. My experiences with these jobs were invaluable and helped set me on the path for my Masters degree. I stayed at CSU for my Masters where I studied Rangeland Ecosystem Science with an emphasis on Restoration Ecology. During my graduate career I worked for the Restoration Ecology Laboratory and the Center for Environmental Management of Military Lands (CEMML). I also helped found the Society for Ecological Restoration student guild at Colorado State University, which is now a strong student group that continues to work on amazing projects that get students involved in restoration ecology. Today, I am a Natural Resources Specialist with CEMML and I am fortunate enough to work with a variety of highly experienced professionals that deal with wildfire, water quality and compliance, land management, wildlife, botany, geographic information systems, and even cultural resources. While I thoroughly enjoy the work that I do, I felt that I needed to develop something that would allow me to combine two passions of mine; trails and ecology. Trailcology is what I have dreamed up. Two years of pondering, talking with friends, land managers, and my family have led up to this point where I have given my full effort in creating an organization that will benefit our trails and their surrounding landscape. Trailcology aims to unite all trail users in a joint volunteer effort to improve trail sustainability, trail-user sustainability, and the health of the landscape. Trail sustainability refers to the maintenance and design of trails and trail networks. Without properly cared for and developed trails, trail degradation can lead to decreased user enjoyment and increased negative impacts on the landscape. Trail-user sustainability is an important part of trail use that is often over looked, but critical to a healthy trail environment. Trail-user sustainability refers to the education and level of understanding that a trail user has regarding their impact on the land, their influence on other users' enjoyment of the trails, and their ability to co-exist with different types of trail users. The health of the landscape is most important. Severely degraded and eroded areas diminish the enjoyment of users and add challenges that land managers need to address. Aside from disturbance, exotic and invasive plants are a nuisance for land managers and can easily be carried from one trail system to another by trail users. Quite frequently, disturbance and invasive plants go hand-in-hand and trail users are a prime source of disturbance and invasive plant spread. As Trailcology continues to develop and come into it's own as a part of Fort Collins, and the surrounding region, I will be partnering with various entities to develop and assist with diverse projects that improve trail sustainability, landscape health, and inter-user relations. 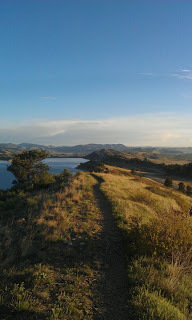 Currently, I am working with Larimer County to develop a Fire Burn Scar Remediation Project in Horsetooth Mountain Park. I will also have an educational booth at the 40 in the Fort mountain bike race to promote education and awareness about invasive plants and their spread. I have plans to talk with Wyoming State Parks about developing projects in Curt Gowdy and Glendo State Parks. 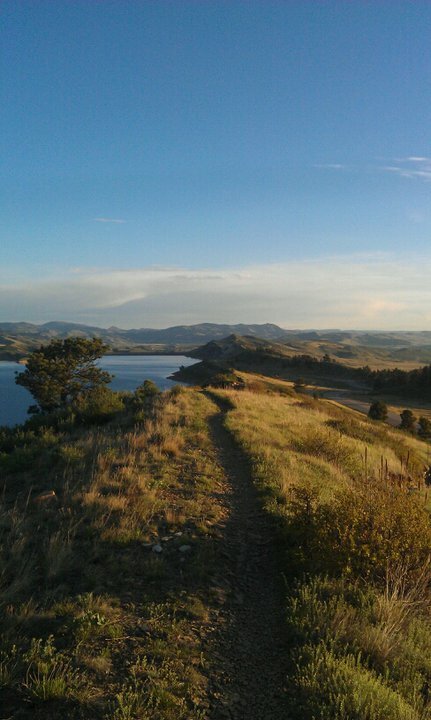 Additionally, I will be connecting with the City of Fort Collins Natural Areas to try and develop some more volunteer projects. As more information for current, new, and developing projects becomes available I will post it here. Critical to the success of Trailcology will be the help and support of a diverse group of volunteers that want to have a positive impact on the trails and landscapes that they use and love. I will be meeting with, talking to, and hopefully partnering with a number of trail user clubs and organizations in the region to gain volunteer support for my projects and possibly theirs as well. Trailcology will aspire to be a uniting organization that can bridge the gap between hikers, trail runners, mountain bikers, and equestrians. By working together we can have a substantial impact on the quality of our trail systems and experiences. I have many more ideas and plans than what I have expressed here but those are for a different post. I am also in the process of finishing up the Trailcology mission statement, organization goals, by-laws, etc. I appreciate your time in reading through my introduction to myself and Trailcology. I hope you are as jazzed about it as I am! If you would like to be put on the Trailcology email list please send me an email at Trailcology@gmail.com. Please include your name, preferred trail use type, and type "Email List" in the subject line. Feel free to include any other information that you like. I'm looking forward to working with anyone and everyone who wants to improve our trails and experiences!